Breast milk is the ideal source of nutrition for your baby. You can feel confident feeding our 100% nutritionally complete, USDA certified, organic sensitive infant formula as a way to nourish your baby if and when chosen or necessary. We love our babies, we love your babies! That’s why even the smallest choices we make are so important – they add up to something really big. 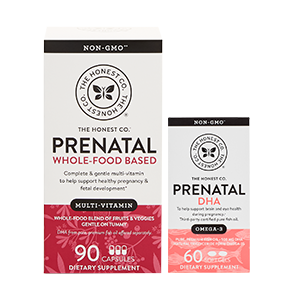 We’re proud to bring you complete infant nutrition made with ingredients from trusted organic farms. And we’re honored to be a part of your feeding journey. DHA & ARA To help support brain and eye development, our formula contains the long chain omega fatty acids DHA (docosahexaenoic acid) and ARA (arachidonic acid) naturally found in breastmilk. Reduced Lactose† For easy digestion, our formula includes a blend of reduced lactose† carbohydrates that are gentle on your baby’s tummy. Premium Organic Nutrition Our premium ingredients abide by the strict criteria of the USDA certified organic program to ensure high quality sourcing with trusted organic dairy farms and sustainable farming practices. Our cows are raised without growth hormones** or antibiotics. Gentle and Complete Patterned after breast milk to help support easy digestion for your baby, our premium formula is a carefully crafted blend of Iron, Vitamin D3, Calcium, Choline, and Folic Acid. 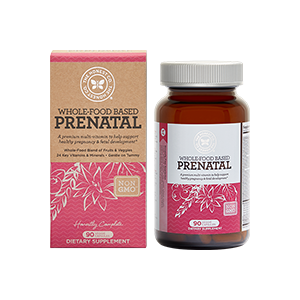 Proven Nutritional Science Scientifically researched and nutritionally complete, helping to ensure your baby is receiving the critical nutrients to support growth and development. 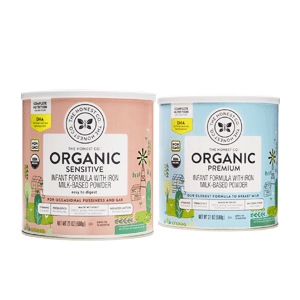 Key Ingredient: Organic Non-Fat Milk Powder We purposefully formulated our easy to digest infant formula with organic non-fat milk as the first ingredient. Prebiotic FOS To help support digestion and immune function, we included prebiotic FOS (fructo-oligosaccharides), a plant-based fiber to help support good bacteria in the digestive tract. 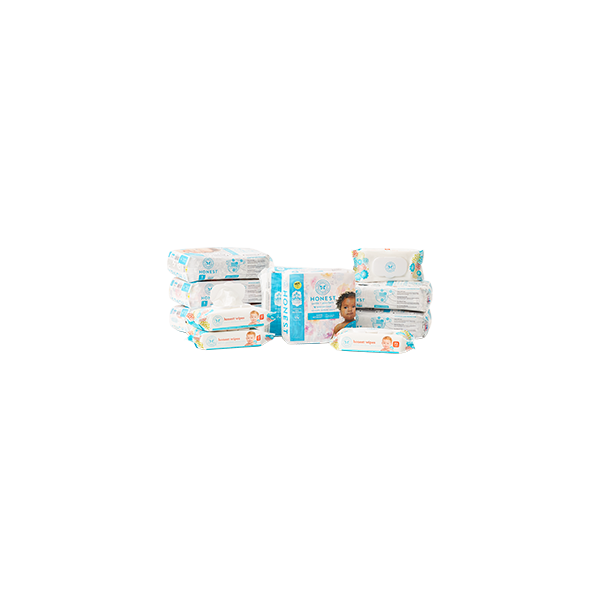 Infant formula with iron for baby’s first 12 months. **No significant difference has been shown between milk derived from rbST treated and non-rbST treated cows. Produced in a facility inspected annually by the FDA. Your baby’s health depends on carefully following these preparation, use and storage instructions. Failure to follow these instructions could result in severe harm. Before preparing the infant formula, make sure to always wash your hands. Thoroughly wash bottle and feeding utensils in hot, soapy water before each use. Ask your baby’s doctor about the need to boil or sterilize water for formula and the proper preparation of bottle and feeding utensils. 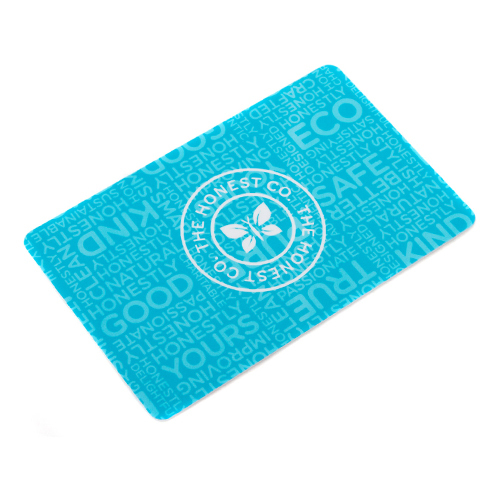 Wash hands, surfaces & utensils. Pour desired amount of water into clean bottle. Add powder to water in bottle (see feeding chart below). Cap bottle; shake well until powder is dissolved. Feed immediately, use within 1 hour, or discard. ** Each Scoop adds about 0.2 fl. oz. to the amount of prepared formula. *** Use enclosed scoop to measure powder. Store unused prepared formula in the refrigerator at 35-40°F (2-4°C); use within 24 hours. DO NOT FREEZE. Warm infant formula to room temperature and shake well before feeding. Prepared formula should not be without refrigeration more than 2 hours. Store open and unopened containers in a dry area at room temperature. Cover the opened container tightly with plastic cap; use contents within 1 month. Avoid any extreme temperatures. Never use a microwave to prepare or warm formula. Serious burns may occur. Do not reuse the formula container, and do not use if inner or outer seal is damaged or missing. Breast milk is the ideal nutrition for your baby. 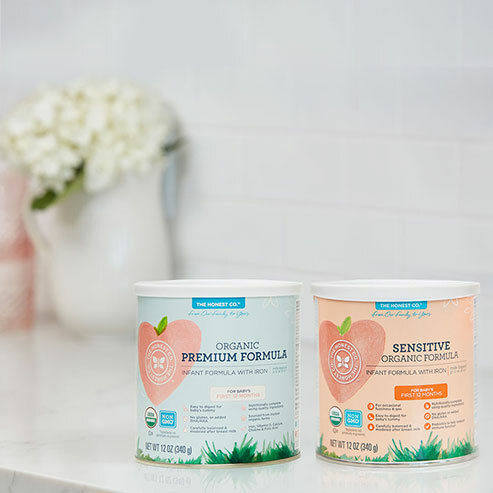 You can feel confident offering our 100% nutritionally complete, USDA certified organic premium infant formula as a way to nourish your baby if and when chosen or necessary. Before using an infant formula, ask the advice or your healthcare professional. Powdered infant formulas are not sterile and should not be fed to premature infants or infants who might have immune problems unless directed and supervised by your baby’s doctor.